Many IT pros with skills in Cobol and mainframes will be aging out of the workplace in the near future. How can CIOs address the inevitable skills shortage? 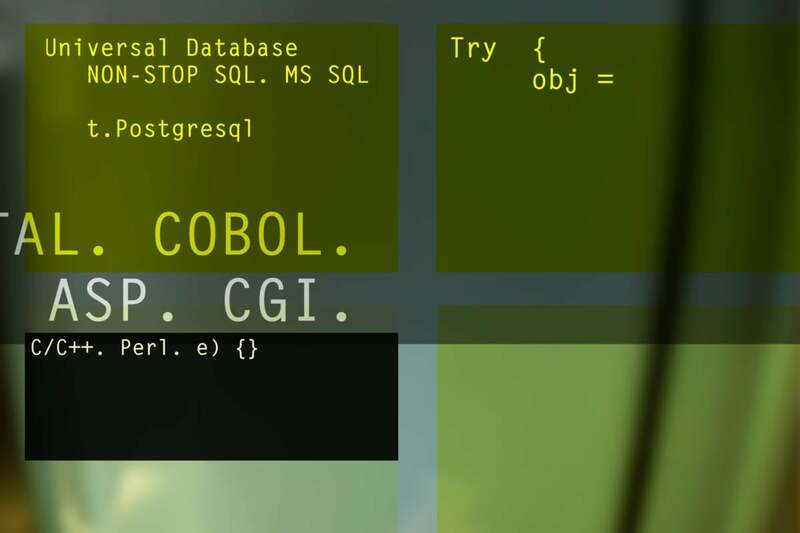 When's the last time you used technology based on COBOL? Or used a mainframe-based system? It's probably more recently than you think. Every time you book an airline ticket, check your savings account balance online, file your federal income taxes or request an insurance quote via the Web, you're relying on these legacy technologies, though many have been updated to better integrate with mobile technologies or provide a faster, more seamless user experience. While legacy skills and technologies power much of the infrastructure we rely on daily, the talent behind their creation, development and maintenance is aging out, and a looming skills shortage threatens to leave companies stranded. "CIOs are being caught flat-footed here. Many of the IT generation that have worked with these technologies for the last 30 years are aging out, and it's increasingly hard to find replacements," says Chris O'Malley, CEO of mainframe software company Compuware. A recent Compuware study of 350 global CIOs found that while 88 percent agree that the mainframe will continue to be a key business asset over the next decade, 75 percent of CIOs responding to the survey say today's crop of distributed application developers have little understanding of the importance of the mainframe. Seventy percent of CIOs say that a lack of documentation and mentoring will hinder effective knowledge transfer from the older generation of talent to the new, creating increased risk, according to the survey. While 81 percent of CIOs reported that their mainframes continue to evolve -- running new and different workloads than they did five years ago, like big data analysis -- 4 out of 10 have not put formal plans in place to address the coming generational shift in mainframe stewardship -- as their most experienced platform professionals retire. "A lot of this talent has worked in these jobs for 30 years doing application development and writing tens of millions of lines of code. A lot of times the people that wrote the first line of code for a mainframe application are still working at that company. The economic crash in 2008 gave CIOs a little leeway; talent has hung on way past their expected retirement age, and exploited the need for their skills," says O'Malley. But this scenario can't go on forever, and CIOs have to address it soon. It's a situation made even more risky because many mainframe applications are custom-built for their organizations, and are considered proprietary intellectual property. "That application code is unique to their business, and it's really difficult to train new talent on that unless it's done through mentoring, knowledge-sharing and training from inside your four walls," O'Malley says. Therefore, it's critical to put programs in place not only to attract and retain new talent, but to educate and train existing talent. It doesn't have to be difficult, especially since companies like Compuware and application modernization and management firm Micro Focus have introduced tools that allow for the integration of distributed application IDEs and APIs with legacy solutions like mainframe, COBOL, Borland and others. "We are introducing solutions that make mainframe tech more normalized and accessible to the new generation of developers; that's based on open systems and distributed application development tools like Eclipse. You now can build apps in Java and C++ on the mainframe to supplement what's written in COBOL or other languages, so customers can easily add modernized toolsets to what's already there," O'Malley says. Some computer science programs at schools like Marist College and the University of Michigan are working closely with enterprises in their geographic area to tailor coursework so that, when computer science students graduate, they have the needed skills and opportunities for jobs in the field, adds O'Malley. These initiatives are absolutely necessary if CIOs are to stem the tide of promising talent to companies like Apple, Google, or flashy Silicon Valley start-ups. "What we've done to counter this is introduce a start-up-like environment within the larger company so that our developers are working on fun, innovative projects that are still critical work for our customers," he says. Education and training can go only so far; large enterprises with foundations in legacy technology must do a better job marketing and promoting these technologies and skills to the next generation of developers, too. "You can both focus on how your firm uses modern languages and technologies like Java, Python, .Net, big data, the cloud and others and tie that into how those wouldn't be possible without the legacy foundation of older technologies," says Ed Airey, product marketing director, COBOL and RUMBA portfolios, Micro Focus. When crafting job descriptions, Web copy or information packets for job fairs or careers sites, it's important to stress how dependent some of these current, hot technologies are on older, foundational infrastructure. "It's about shaping the message around the value in working with these older technologies. At the same time companies themselves must better embrace next-gen technology. If you're innovating in cloud and mobile tech on top of legacy infrastructure, for instance, you'll be able to attract new talent that will gain experience on legacy enterprise computing. That's huge value," Airey says. Of course, a shortage of skills and steady demand means developers can command premium salaries, even as a freshly minted graduate. "We've heard from universities that they've easily been able to place their students in businesses with that need, and at salaries well above the industry average," says Airey.